As you already know, I’m skincare obsessed. I have combination skin, but due to constant running AC in our apartment and the city heat, my face’s been feeling really dry. So I started looking for a summer skincare solution that can keep my skin moisturized but not feel too heavy and oily when applied. 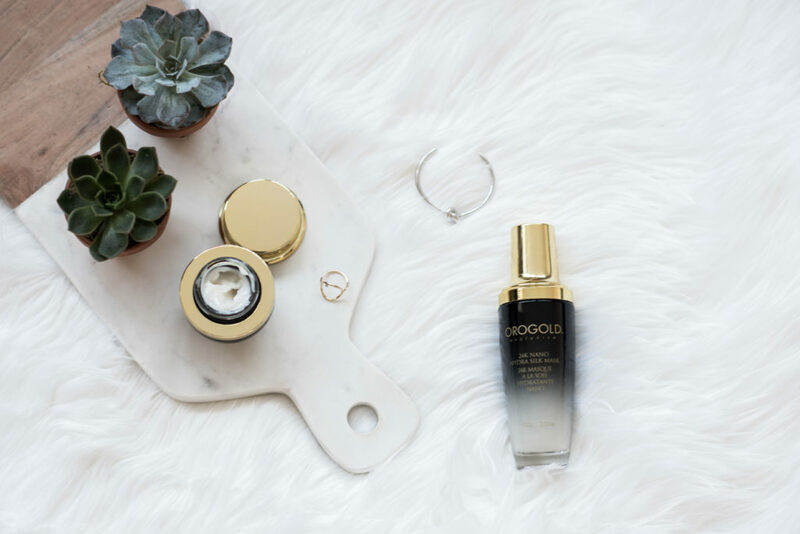 Then I was introduced to the Orogold Nano line which targets all my concerns. I’ve been using the 24k Nano Hydra Silk Mask and 24K Day Recovery and I’m already very impressed with the results. Not only does my skin feel moisturized, it has that healthy glow back. 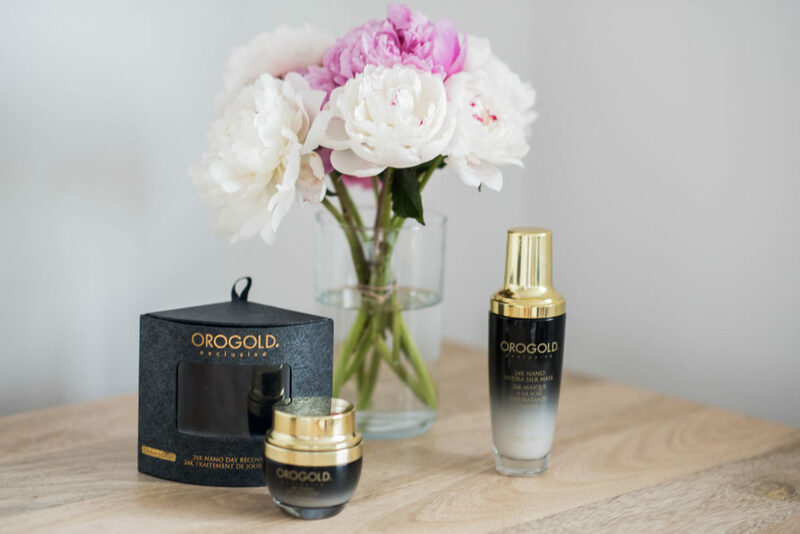 Lastly, I had the chance to check out the Orogold Madison Ave. location and received an amazing facial by Gisella. She’s leveled up my skin game, for instance I finally learned the proper way to apply eye cream (hint: use your ring finger aka the weakest one). Gisella also recommended that I leave the 24K Nano Hydra Silk Mask overnight, and I’m loving it! In collaboration with Orogold, all opinions are my own. You look amazing and I’m glad it works for you. Too expensive for me right now! You are so stunning! I love your aesthetic and posts so much. It sounds really great! You look really lovely, btw! These products sound amazing, it sounds like the holy grail of skincare! During the summer I have to switch up my moisturizer as well because of the heat, and it’s so hard to find something lightweight but can still moisturize well! Sounds like great products!! Thanks for sharing! Wow, seems like an amazing product! Nice post & products! You looked so amazing! During winter i’m always on the look out for moisturising products because my skin gets dry a lot during that season . I will be checking out this brand . Thanks for the review. Stunning photos, you look amazing! The products sound ideal. I’m on the look out for some summer products at the mo so thanks for sharing. Wonderful post. You look amazing. I never heard of this brand of skincare! Thanks for introducing it. Really love your skin. so bright. I definitely need to this to my skin. Thank you for reminding me and wow beautiful photos!! Really love the cute accents! You skin is healthy and plump, looks like an excellent product. Your skincare regiment pays off, you have the most gorgeous skin. I have to try this line out! A good skin care routine can do wonders to the skin! your skin looks beautiful! 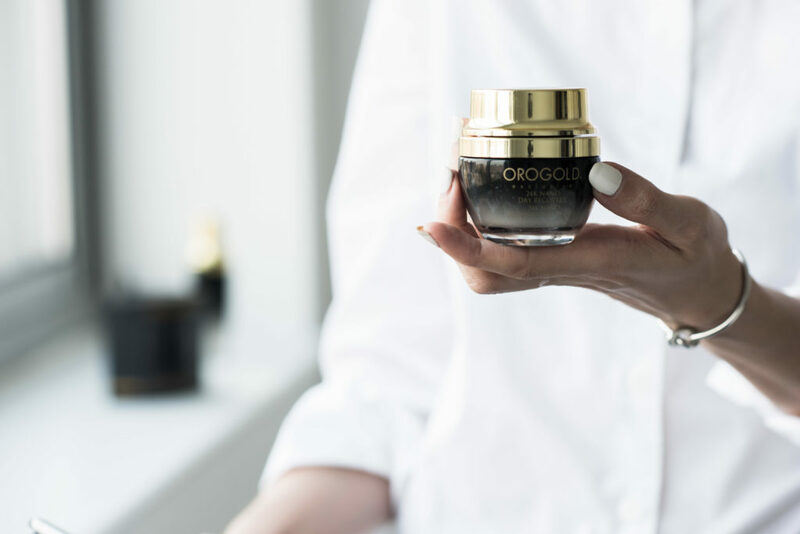 I have an orogold face exfoliater scrub and I loooove it! Thanks for the share! Sounds like a lovely product to try for the summer time. Looks lovely, I am going to look into it more for my skin type! You look amazing! I must try this product! Your skin looks amazing in these photos! Sounds like a great product. great post hun! love your hair! Great post! I’m in love with your hair color!